Attributes: Natural or Organic IngredientsIngredients: Whole grain wheat, rye, oats, triticale, barley, brown rice, oat bran and flaxseed.Nutritions: Calcium(2), Calories(140), Cholesterol(0), Dietaryfiber(6), Fromfat(15), Iron(8), Protein(6), Saturatedfat(0), Servingscontainer(276 (per 25 lb bag)),.. 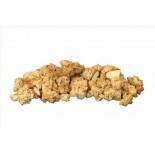 Attributes: Foodservice (Bulk Pack), Kosher, Natural or Organic IngredientsIngredients: Oats, honey, expeller pressed canola oil, sunflower seeds, almonds, walnuts, oat syrup powder, oat bran, sesame seeds, cashew pieces, natural vitamin e and ascorbic acid (for freshness).Nutritions: Calcium(2), Ca.. 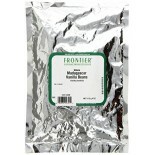 Attributes: Foodservice (Bulk Pack), Kosher, Natural or Organic IngredientsIngredients: Whole Rolled Oats, Milled Cane Sugar, Vegetable Oil (Canola and/or Safflower and/or Sunflower Oil), Rice Flour, Cornstarch, Cherries (Sour Cherries, Cane Sugar, Vegetable Glycerin, Sunflower Oil), Honey, Cherry P.. Attributes: Foodservice (Bulk Pack), Kosher, Natural or Organic IngredientsIngredients: Whole Rolled Oats, Vegetable Oil (Canola and/or Safflower and/or Sunflower Oil), Coconut, Milled Cane Sugar, Almonds, Molasses, Honey, Salt, Cardamom Seed, Fennel Seed, Fenugreek Seed, Nutmeg. CONTAINS COCONUT.. 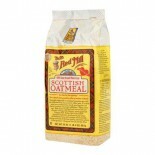 Attributes: Foodservice (Bulk Pack), Kosher, Natural or Organic IngredientsIngredients: Whole Rolled Oats, Milled Cane Sugar, Vegetable Oil (Canola and/or Safflower and/or Sunflower Oil), Rice Flour, Cornstarch, Almonds, Honey, Salt, Natural Flavor, Barley Malt Syrup, Cardamom Seed, Fennel Seed, Fen.. 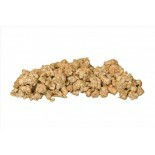 Attributes: Foodservice (Bulk Pack), Kosher, Low Fat, Natural or Organic IngredientsIngredients: Whole Rolled Oats, Milled Cane Sugar, Vegetable Oil (Canola and/or Safflower and/or Sunflower Oil), Rice Flour, Cornstarch, Honey, Ginger Root, Salt, Barley Malt Syrup, Cinnamon Bark, Cardamom Seed, Fenn.. 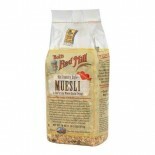 Attributes: Cholesterol Free, Foodservice (Bulk Pack), Kosher, Low Fat, Natural or Organic IngredientsIngredients: Whole Rolled Oats, Milled Cane Sugar, Vegetable Oil (Canola and/or Safflower and/or Sunflower Oil), Molasses, Maple Syrup, Almonds, Honey, Natural Flavor, Salt, Cardamom Seed, Fennel Se.. 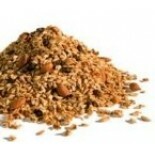 Attributes: Foodservice (Bulk Pack), Kosher, Natural or Organic IngredientsIngredients: Whole Rolled Oats, Milled Cane Sugar, Rice Flour, Vegetable Oil (Canola and/or Safflower and/or Sunflower Oil), Maple Syrup, Pecans, Natural Flavor, Salt, Barley Malt Syrup, Cinnamon Bark, Ginger Root, Cardamom S.. Attributes: Dairy Free, Natural or Organic IngredientsIngredients: Whole rolled, oats, milled can sugar, wheat gluten, vegetable oil (canola and/or safflower and/or sunflower oil), honey, puffed kaumt, hemp seeds, natural flavor, salt, almonds, coconut. 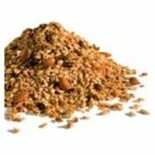 Allergens: Contains wheat, almonds and c.. 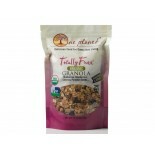 Attributes: Foodservice (Bulk Pack), Kosher, Natural or Organic IngredientsIngredients: Whole Rolled Oats, Milled Cane Sugar, Vegetable Oil (Canola and/or Safflower and/or Sunflower Oil), Rice Flour, Cornstarch, Flax Seed, Honey, Freeze Dried Strawberries, Hemp Seed, Salt, Natural Flavor, Barley Mal.. 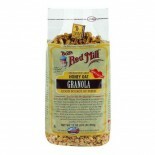 Attributes: Foodservice (Bulk Pack), Kosher, Natural or Organic IngredientsIngredients: Whole Rolled Oats, Milled Cane Sugar, Vegetable Oil (Canola and/or Safflower and/or Sunflower Oil), Molasses, Coconut, Almonds, Sesame Seeds, Sunflower Seeds, Cashews, Walnuts, Honey, Salt, Natural Flavor, Cardam.. 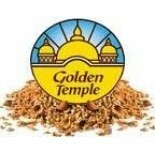 Attributes: Kosher, Natural or Organic IngredientsIngredients: Whole Rolled Oats, Milled Cane Sugar, Vegetable Oil (Canola and/or Safflower and/or Sunflower Oil), Rice Flour, Whole Oat Flour, Molasses, Almonds, Dried Banana, Natural Flavor, Barley Malt Syrup, Salt. 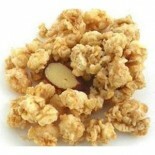 CONTAINS ALMONDS. May Contain .. 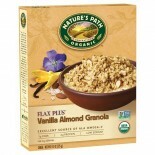 Attributes: Foodservice (Bulk Pack), Kosher, Low Fat, Natural or Organic IngredientsIngredients: Whole Rolled Oats, Milled Cane Sugar, Vegetable Oil (Canola and/or Safflower and/or Sunflower Oil), Rice Flour, Coconut, Cornstarch, Almonds, Honey, Natural Flavor, Salt, Barley Malt Syrup, Cardamom Seed.. 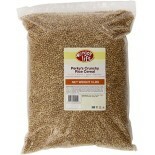 Attributes: Foodservice (Bulk Pack), Kosher, Natural or Organic IngredientsIngredients: Whole Rolled Oats, Milled Cane Sugar, Vegetable Oil (Canola and/or Safflower and/or Sunflower Oil), Rice Flour, Cornstarch, Flax Seed, Honey, Freeze Dried Blueberries, Salt, Natural Flavor, Barley Malt Syrup. .. 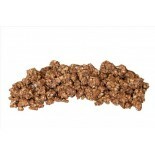 Attributes: Foodservice (Bulk Pack), Kosher, Natural or Organic IngredientsIngredients: Whole Rolled Oats, Milled Cane Sugar, Molasses, Cornstarch, Dehydrated Apples (Apples [Erythorbic Acid, Citric Acid, Sodium Chloride, Calcium Chloride] as preservatives), Cinnamon Bark, Fruit Juice Concentrate (P.. 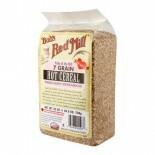 Attributes: Cholesterol Free, Foodservice (Bulk Pack), Kosher, Low Fat, Natural or Organic IngredientsIngredients: Whole Rolled Oats, Milled Cane Sugar, Molasses, Cornstarch, Honey, Fruit Juice Concentrate (Pear and Peach Juice), Natural Flavor, Freeze Dried Strawberries, Freeze Dried Raspberries, C.. 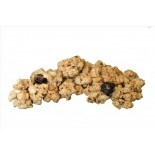 Attributes: Foodservice (Bulk Pack), Kosher, Natural or Organic IngredientsIngredients: Whole Rolled Oats, Raisins (Raisins, Vegetable Glycerin, Vegetable Oil [Canola and/or Sunflower Oil]), Rolled Rye, Apple Powder, Corn Flour, Apples, Date Powder, Almonds, Barley Malt Syrup, Milled Cane Sugar, Cin.. 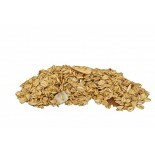 Attributes: Foodservice (Bulk Pack), Kosher, Natural or Organic Ingredients, Non-GMO Project VerifiedIngredients: Organic rolled oats, organic evaporated cane juice, organic soy oil, organic brown rice flour, organic pumpkin seeds, organic flaxseeds, organic oat syrup solids, sea salt, organic molas.. 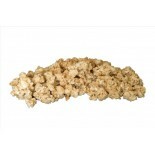 Attributes: Dairy Free, Foodservice (Bulk Pack), Kosher, Natural or Organic Ingredients, Non-GMO Project Verified , Wheat FreeIngredients: Organic oats, organic evaporated cane juice, organic canola oil, organic rice crisps (brown rice flour, evaporated cane juice, organic barley malt extract, sea s.. Attributes: Dairy Free, Foodservice (Bulk Pack), Kosher, Low Salt / Low Sodium / Reduced Sodium, Natural or Organic Ingredients, Non-GMO Project Verified , Wheat FreeIngredients: Organic rolled oats, organic evaporated cane juice, organic soy oil, organic brown rice flour, organic flax seeds, organi.. Attributes: Natural or Organic IngredientsIngredients: organic and gluten free whole grain oats, natural chocolate covered sunflower seeds, organic pumpkin seeds, organic dried banana chips, organic unsalted butter, organic honey, and organic maple syrup. .. 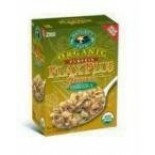 Attributes: Natural or Organic Ingredients .. 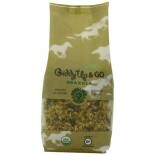 Attributes: Natural or Organic IngredientsIngredients: Organic Gluten-Free Oats, Organic Coconut Palm Sugar, Organic Raw Virgin Coconut Oil, Dried Blueberries (Blueberries, Sugar, Sunflower Oil), Organic Sunflower Seeds, Organic Puffed Amaranth, Organic Hemp Seeds, Organic Millet Flakes, Organic Qui.. Attributes: Natural or Organic IngredientsIngredients: Organic Gluten-Free Oats, Organic Coconut Palm Sugar, Organic Raw Virgin Coconut Oil, Dried Cranberries (Cranberries, Cane Sugar, Sunflower Oil), Organic Pecans, Organic Sunflower Seeds, Organic Amaranth Puffs, Organic Millet Flakes, Organic Qui.. Attributes: Natural or Organic IngredientsIngredients: Organic Gluten-Free Oats, Organic Coconut Palm Sugar, Organic Raw Virgin Coconut Oil, Dried Figs (Figs, Rice Flour), Organic Raw Pumpkin Seeds, Organic Sunflower Seeds, Organic Puffed Amaranth, Organic Millet Flakes, Organic Quinoa Flakes, Orga.. 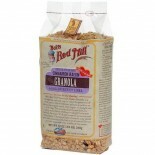 Attributes: Natural or Organic IngredientsIngredients: Organic Whole Oats, Organic Milled Cane Sugar, Organic Vegetable Oil (Organic Canola And/Or Organic Safflower And/Or Organic Sunflower Oil), Organic Quinoa Flake, Organic Kamut Puffed, Organic Cornstarch, Organic Oat Fiber, Organic Amaranth Fl.. 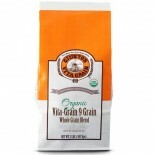 Attributes: Kosher, Natural or Organic IngredientsIngredients: Organic Whole Rolled Oats, Organic Milled Cane Sugar, Organic Vegetable Oil (Organic Canola and/or Organic Safflower and/or Organic Sunflower Oil), Organic Rice Flour, Organic Coconut, Organic Cornstarch, Organic Honey, Natural Flavor, .. Attributes: Natural or Organic IngredientsIngredients: Organic Whole Oats, Organic Milled Cane Sugar, Organic Vegetable Oil (Organic Canola And/Or Organic Safflower And/Or Organic Sunflower Oil), Organic White Rice Flour, Organic Chia Seeds, Organic Cocoa Powder, Organic Barley Malt, Sea Salt, Natu.. 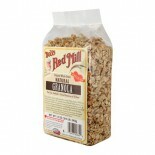 Attributes: Kosher, Natural or Organic IngredientsIngredients: Organic whole oats, organic vegetable oil (organic canola and/or organic safflower and/or organic sunflower oil), organic milled cane sugar, organic coconut, organic almonds, organic molasses, organic honey, salt, cardamon, fennel seed, .. 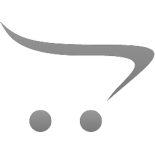 Attributes: Kosher, Natural or Organic IngredientsIngredients: Organic Whole Rolled Oats, Organic Milled Cane Sugar, Organic Vegetable Oil (Organic Canola and/or Organic Safflower and/or Organic Sunflower Oil), Organic Rice Flour, Organic Cornstarch, Organic Almonds, Organic Honey, Salt, Natural F.. Attributes: Natural or Organic IngredientsIngredients: Organic Whole Rolled Oats, Organic Milled Cane Sugar, Organic Crisp Brown Rice (Organic Brown Rice, Organic Brown Rice Syrup, Salt), Organic Expeller Pressed Canola Oil, Organic Whole Oat Flour, Organic Honey, Organic Molasses, Organic Vanilla E.. 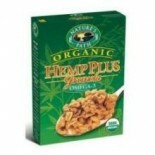 Attributes: Kosher, Natural or Organic IngredientsIngredients: Organic Whole Rolled Oats, Organic Milled Cane Sugar, Organic Vegetable Oil (Organic Canola and/or Organic Safflower and/or Organic Sunflower Oil), Organic Rice Flour, Organic Cornstarch, Organic Flax Seed, Organic Honey, Organic Freez..